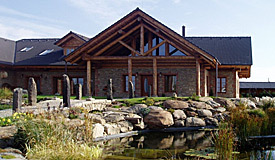 The ranch was founded in 1995. 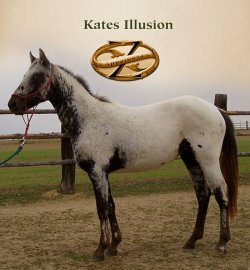 In this year its owner visited the USA to buy horses of Appaloosa breed. Maybe, it was caused by the awaking of the genes of his ancestors and he did buy a few horses. Until then this breed was practically unknown in the Czech republic and there were only a few of these horses here. 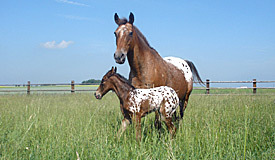 That is why the import was the only way to start breeding of Appaloosa. 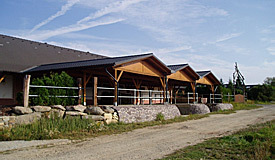 At fall 1996 ten mares and three stallions were transported to the Czech Republic. 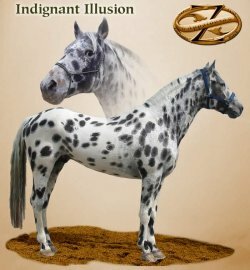 Bigger part of the original herd comes from a breeder from Oregon in northwest USA, which deals with breeding the original Appaloosa horses for a quarter of century. In her herd she has offsprings of the best blood line stallions TOBY, RED EAGLE, APACHE, PATCHY and SUNDANCE F-500. These were real jewels, whom she was willing to sell. With these we started our own breeding of the highest quality. Climate is nearly the same as ours, so the horses had no problems with adjusting to our conditions. At present we have a stable with thirty inner boxes used for early spring giving birth. We also have wooden season stables for other horses and separated outside stables for stallions and sires. Our herd is currently made of sixty horses, of which four are sires, thirty breeding mares and other horses of various age. Average yearly increase is ten foals. It needs to be stressed that we strictly observe the pure breeding – we only allow Appaloosa x Appaloosa and avoid A1/1, QH or other breeds, as it is often done. Most of our horses are 100% FPD. As far as quality and number of horses our herd is among the biggest and best of its kind in Europe. Around the ranch we dispose of 25 ha of fenced pastures, which allowes all year pasture breeding. Mares give birth on pastures as well withoug human help. After the birth, a foals is immediately integrated into herd and this way a natural growth is enabled. 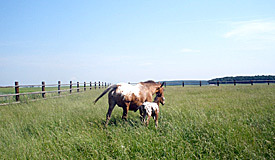 During the existence of our ranch we bred over one hundred foal. And they make happy horse breeders from Czech Republic, Slovak Republic, Germany and Austria. Our horses are under the veterinary surveillance, they are vaccinated regularly and dewormed. We are registered at ApHC USA.